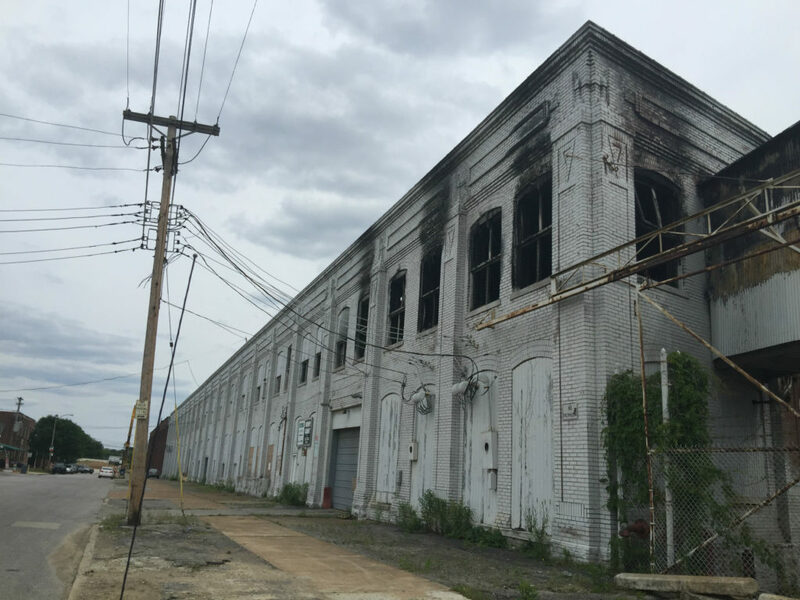 In May of this year, a $45M residential infill project proposed for a long vacant, and partially burnt, warehouse in The Hill neighborhood was met with opposition. Its 450 residential units and height of the main apartment building were said by some residents to be out of character for the area largely filled with pint-sized single-family homes. 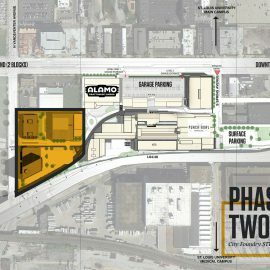 Now developer Sansone Group in partnership with Draper & Kramer (the same developer as the nearby Southwest Bank/BMO Harris site) is back with a revised vision for the 10-acre site. 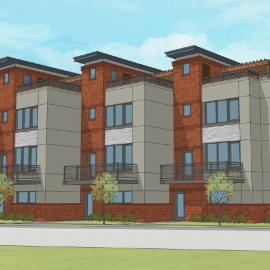 The revised plan envisions a $35-40M development comprised of 292 apartments, 58 townhomes, and 15 single-family homes. Details have been shared with residents of The Hill and were discussed with visitors at the popular Giro della Montagne bicycle race over Labor Day weekend. A subcommittee of neighborhood business owners and residents have been meeting regularly with the developer and believe they’ve arrived at a proposal that will find support. 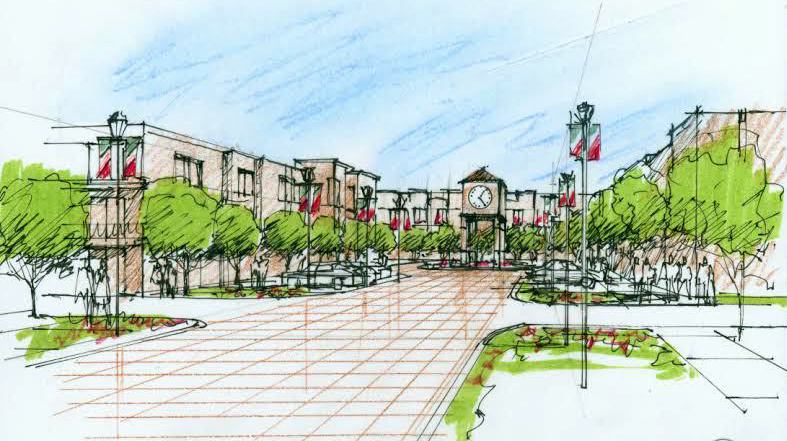 With at least preliminary approval from the neighborhood in place, the developer will begin to work with the city to address development concerns and issues. 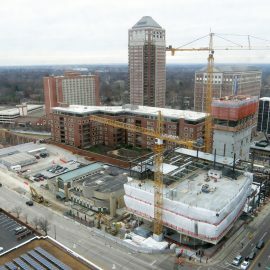 The new plan reduces the height of the development and the number of residential units. 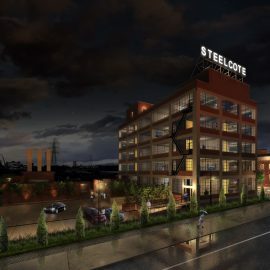 Last night, representatives from Sansone Group presented plans for a mixed use development to replace more than 10 acres of warehouse and industrial complex in The Hill neighborhood of St. Louis. 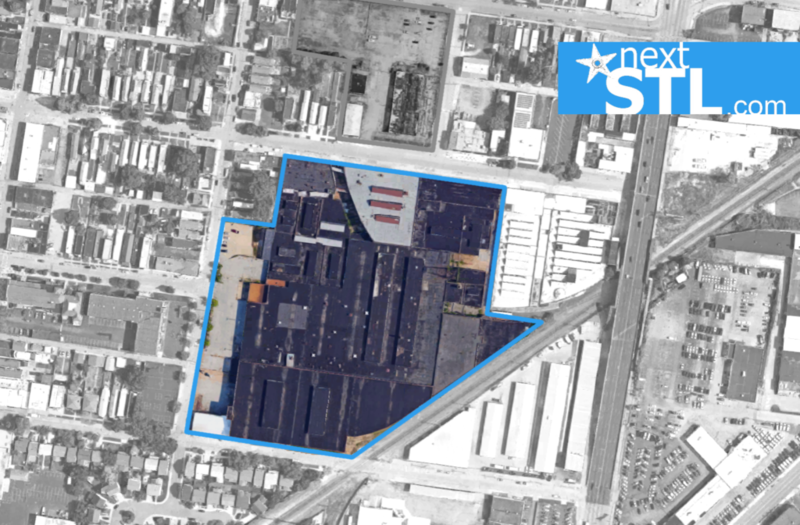 The developer has the former Owens-Illinois Glass Co. industrial complex under contract, and envisions up to 450 residential units. Last year the property, including a parcel north of Daggett, was listed for approximately $6M by Berry Grant commercial real estate firm principle Bob Flynn. We wrote at the time that a $4M offer was under consideration. It’s not known if that offer was from Sansone Group. 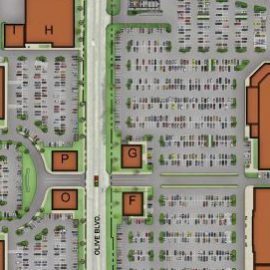 The mixed-use development plan appears to attempt to retain the scale of the neighborhood by placing single-family homes and retaining at least a portion of the warehouse on the property’s edges. 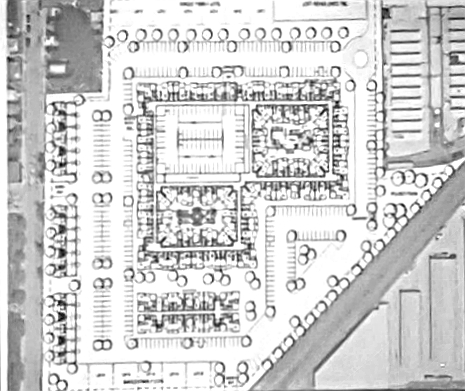 The large multi-family building at the property’s center would be surrounded by a parking garage and appears to include a parking garage as well. The network of warehouse and office space constituting 5006-5030 and 5019-5021 Daggett Avenue is located in the shadow of the soon to be replaced Kingshighway viaduct, across both streets fronting the longtime St. Louis favorite Rigazzi’s Italian restaurant. 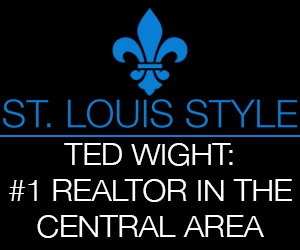 Buildings date from 1910, and include expansion in 1923, 1942, and 1946, according to city records.